"the demand for skim or buttermilk, and our ability to turn either of these important residues to advantage. 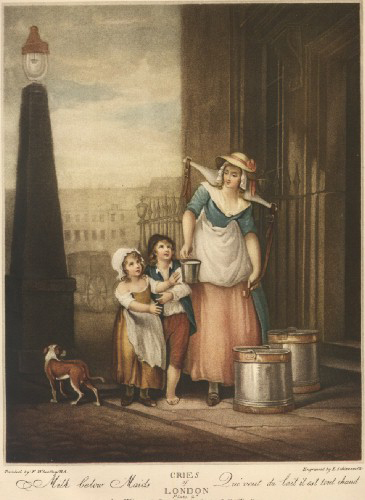 In Ireland, for instance, the taste for skim milk is almost national, and it is extensively used in all private families, and in the numerous public establishments, such as barracks, workhouses, and gaols, that unfortunately exist there. In Cheshire, on the other hand, buttermilk is universally consumed by the farmers' families, and their servants, and others. In the south of England, again, this is a beverage almost entirely avoided.